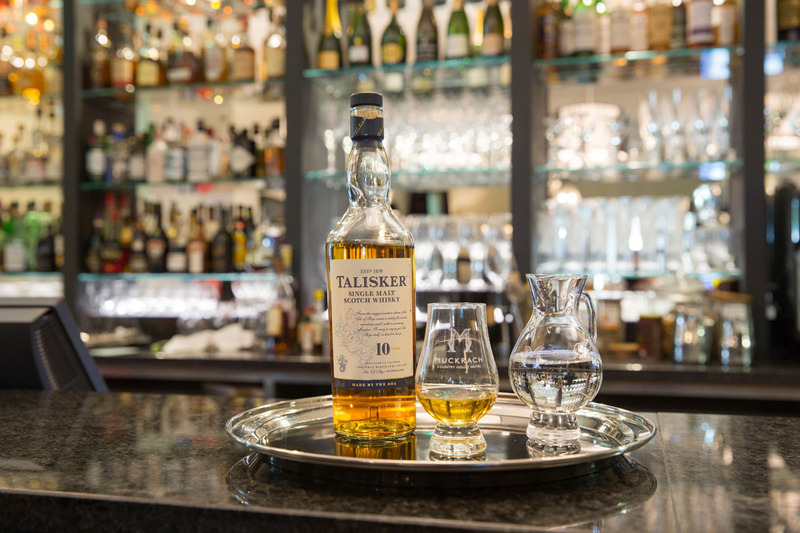 February’s Whisky of the Month is the Talisker 10 year old. Distilled on the Island of Skye off the west coast of mainland Scotland,Talisker 10 year old is a smoky-sweet single malt with a hint of sea-salt and a warming, peppery finish. Join us for a wee dram in The Bar at Muckrach, with more than 70 whiskies to choose from.